Today the plant is a vibrant museum which offers a wide spectre of activities: films and exhibitions, guided tours, concerts and plays, museum shop and cafeteria, and a playroom for children. 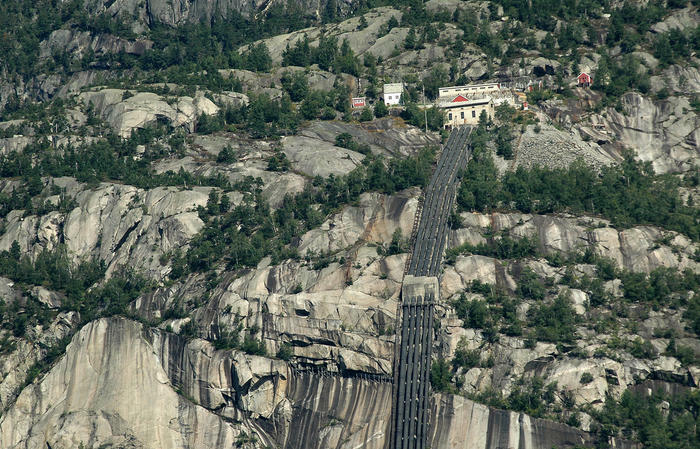 Tyssestrengene, a waterfall with a sheer drop of more than 300 metres, was the highest in Norway. The Ringedal waterfall was even higher and wider, but the sheer drop was “only” 160 metres. 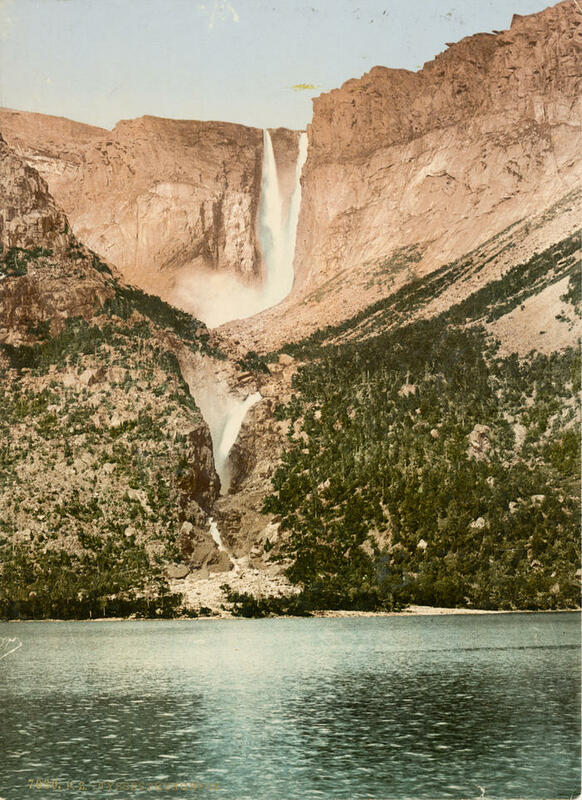 The Norwegian Trekking Association made an early effort to preserve these waterfalls, but intense pressure from industrial developers, made the organization abandon its principles and sell the rights. In a decade, starting in 1906, Tyssedal tranformed from a valley of two farms to a modern industrial community. Tyssedal power plant represents the work of the pioneers developing industrial Norway. 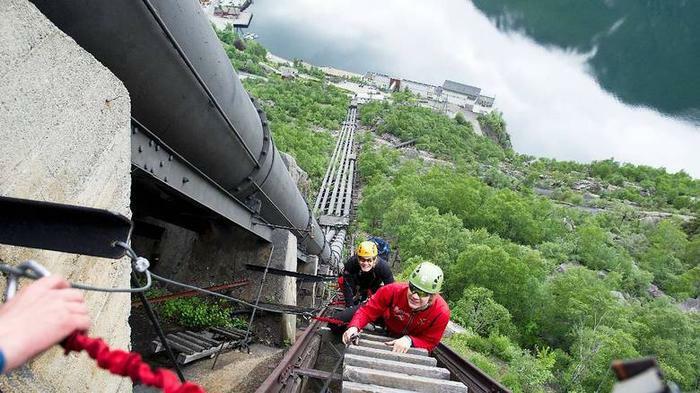 The penstock was the first built to that could handle this immense water pressure and were the steepest to that date – 730 metres long, with a drop of 410 metres and an incline of up to 60 degrees. Most of the construction work was carried out on icy mountainsides during the wintertime in order to avoid high temperatures expanding the metal. The pipes were produced in Germany, and the iron had a thickness of 7 mm at the top and 35 mm at the bottom sections to stand the extreme pressure of the water. The construction workers literally had to bolt themselves and their scaffolds to the mountainside, or dangle in ropes. 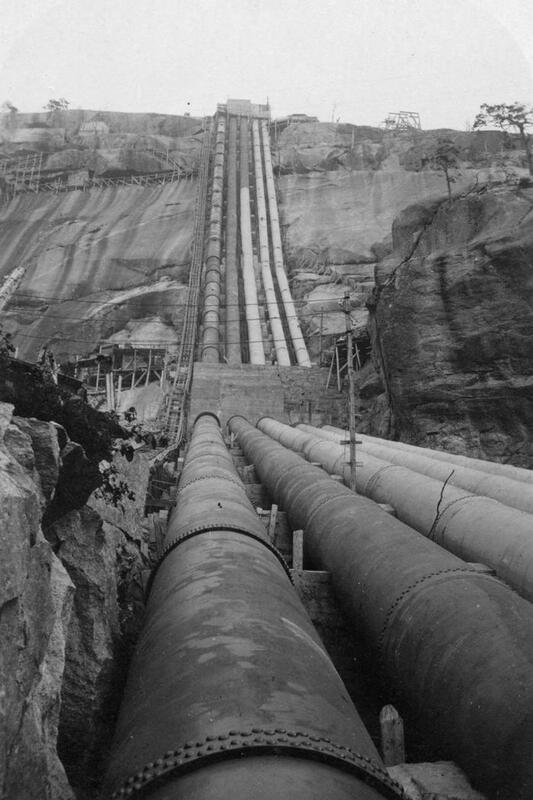 The fifth and last penstock was completed in 1915. Migrant workers, or rallarar, came from various countries, mostly the scandinavian, mainly Norway, to work on the many projects in Tyssedal. The work had to be done quickly and during construction 500 migrant workers were active. As a result, change came rapidly to the narrow and once sleepy valley. It was hard work and long days, with 12 hour shifts and few days off. In a year and a half the navvies carved out a 3 kilometre long tunnel from Skjeggedal to Lilletopp, in addition they built the power station and the penstock. They built infrastructure such as wharfs, funicular, telegraph, administration and office building, homes for engineers, barracks and houses for the workers. 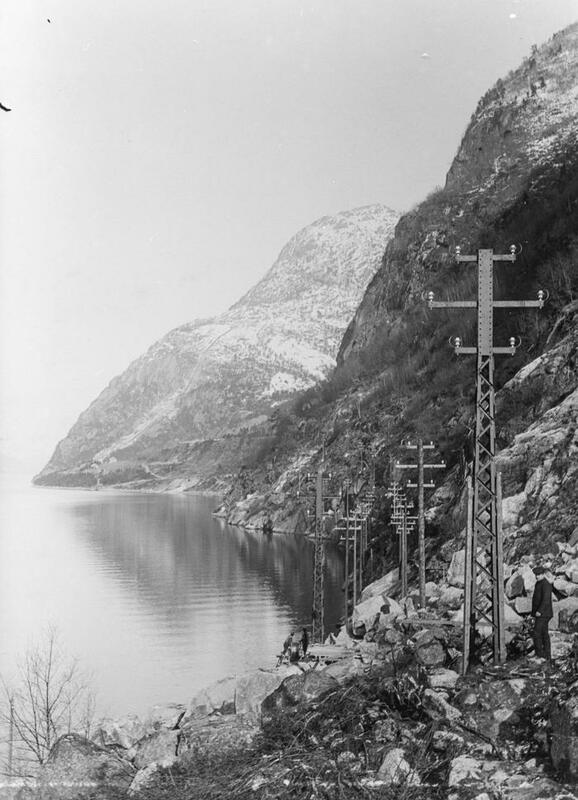 Finally they built a 6000 metre long power line from Tyssedal to Odda providing the carbide factory in Odda with the ordered electricity. Impressive by any standard! The topography of Tyssedal made it difficult to build a factory of this size on site. 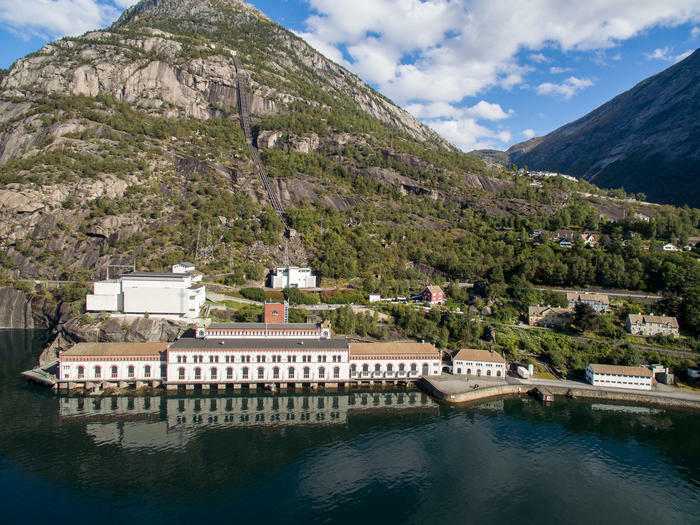 The electrical power was transferred to Odda, where the british Sun Gas Company had built what should become the world’s largest carbide factory on the plain fields near the banks of the river Opo.